TASK: Assess resources for evaluation. Obtain. Once per game, may download Bynars Data Transfer in place of your normal card play. 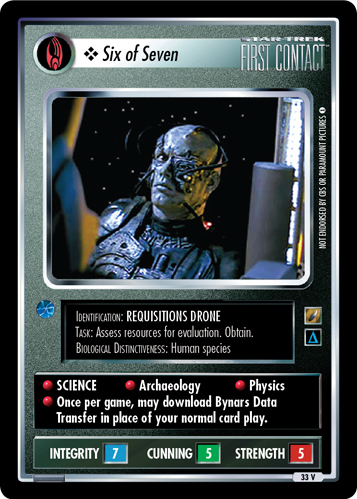 If you play OTF this card replaces the backward compatible 2E card Requisitions Drone from Reflections II - ST1E compatible (the 2E card is no longer valide in OTF).